It’s strange, the difference a year can make. Looking back at how different one June can be from the last is nearly dizzying. Sometimes the comparison is heartbreaking. Other times it is a welcome reminder. In the garden, the difference between any two seasons is palpable and as one toils it isn’t difficult for the mind to wander between comparisons of this and last season’s gardens to this and last season’s daily challenges or successes. While the daily life of this summer has been more challenging than most, the season’s garden has been for the most part a dream. Especially the squash. Two seasons ago, all my squash were attacked and rapidly killed by squash vine borers. By rapidly, I mean my plants were done for before I even realized what was happening as I had never encountered vine borers prior to that season. They also summarily destroyed my gourds and melons. Devils. 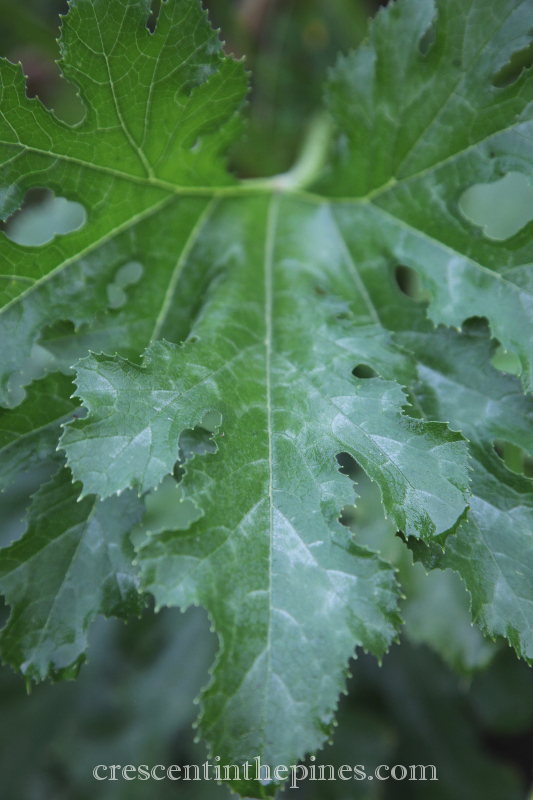 Last season came torrential rains, blighting most of the garden and smearing the rest with powder mildew. When the rains finally broke, the weather immediately shifted into drought and extraordinary heat. And with the heat came uncontrollable swarms of squash bugs. Also devils. 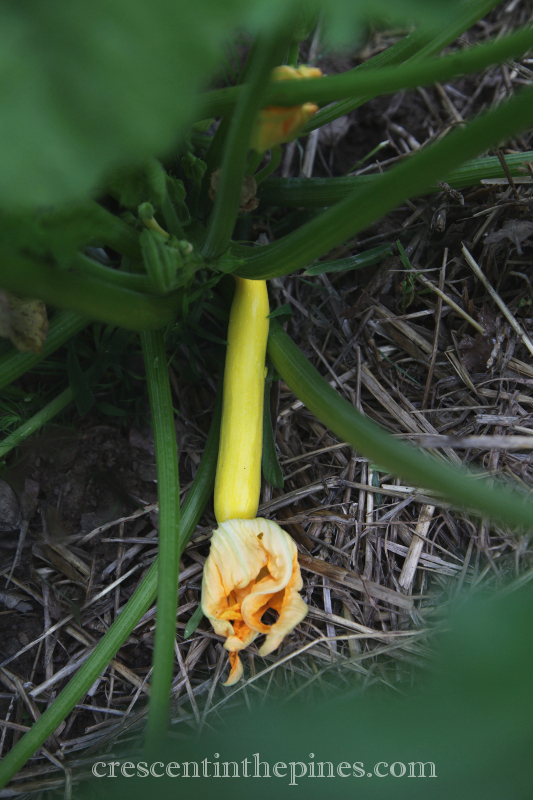 But this season, an overabundance of summer squash has been the way, especially from two prolific white squash types and three of the four zucchini types. One zucchini in particular has found its way onto my favorites list, even though it was old seed gifted to me and initially it seemed as though none of the plants were going to come up. In the end only one plant did come up, but when it did it came up to beat the band, currently standing at just under three feet tall and consistently producing two to three fruit almost every other day. Not only is the plant sizeable and very attractive, featuring large shapely leaves in stunning velvety green, but the fruit is the most beautiful sunshine yellow and the taste is slightly more mild than green zucchini types. Even if allowed to mature on the plant, at which point their size grows rapidly and their color becomes a deep gold near orange color, this type does not become especially seedy and maintains its excellent flavor. This and cocozella are my personal go to’s for zucchini dishes as both maintain their flavor and texture perfectly when cooked. 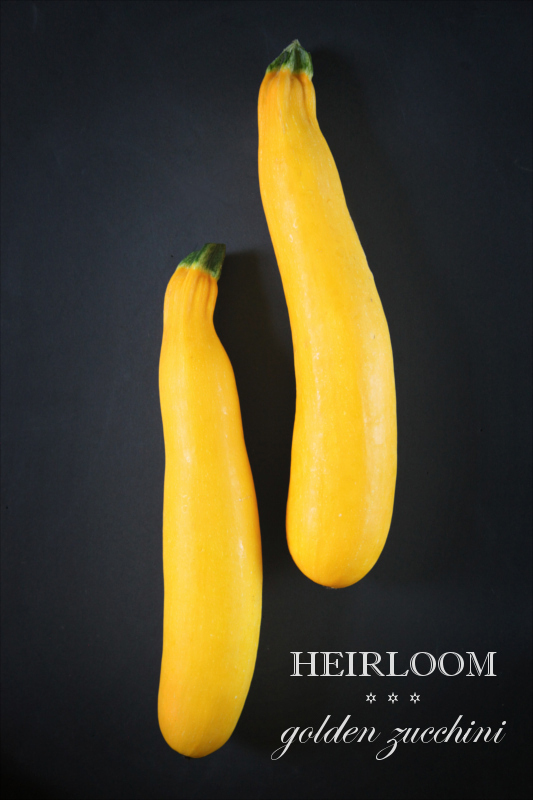 Never though have I seen such a both prolific and delicious zucchini type and so Golden Zucchini found a place here as a recommended heirloom for your own garden. Golden Zucchini summer squash was developed by W. Burpee. They are very prolific bush-type plants. 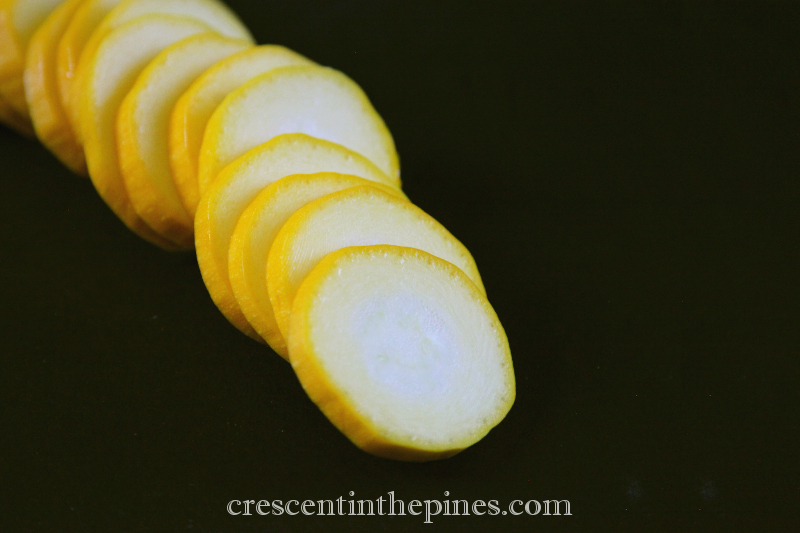 Harvested at six to eight inches, they feature stunning glossy bright yellow skin. Easy to grow direct sewn, but requires space. 50-55 days.